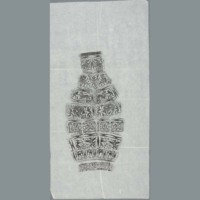 One rubbing possibly of a bronze vessel with panels showing hunters, animals and formal patterns. Modern rubbing based on poss. Han Dynasty (206BC-220AD) bronze vessel. 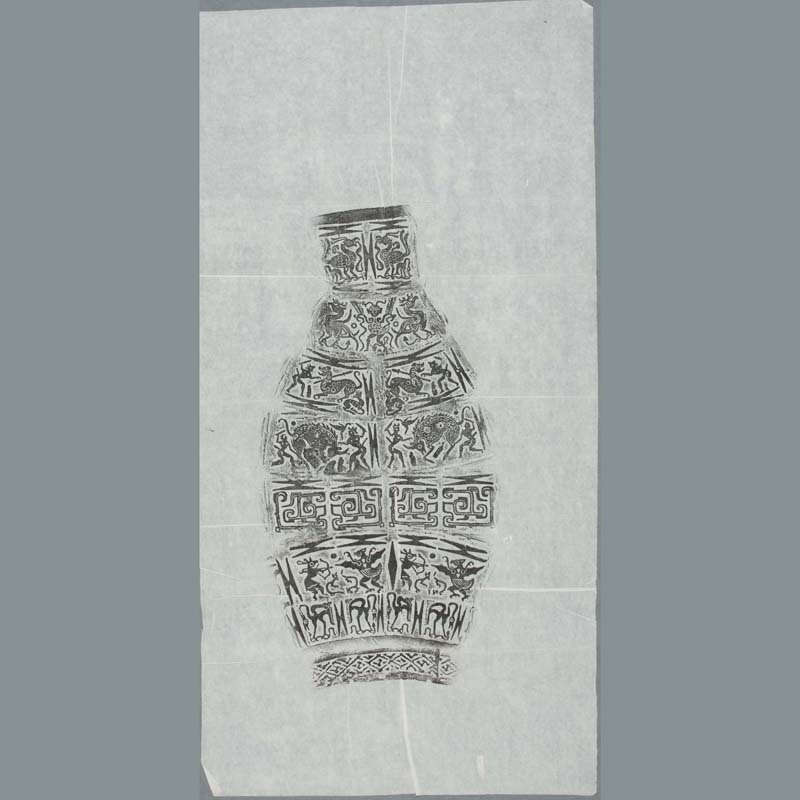 “Rubbing: vessel,” China, Art and Cultural Diplomacy, accessed April 22, 2019, http://rewialleyart.nz/items/show/1116.